Here’s a geeky gadget add on for you mobile phone or PDA. 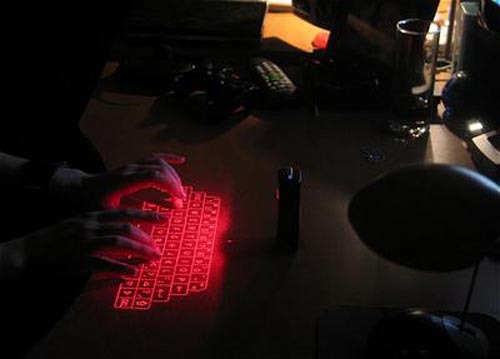 The Bluetooth Laser Virtual keyboard with work with virtually any Bluetooth enabled device including PDAs, Smartphones, PC’s and Notebooks. It will project a full sized keyboard onto any flat surface, which is great if you are like me and get fed up using the tiny keyboard on your mobile. It has a built in rechargeable battery which will give you 2 hours of continuous typing time, and is small enough to fit in yout pocket measuring just 3.5 inches high. It is compatible with PalmOS 5, PocketPC 2003, Windows Smartphone, Symbian OS, and Windows 2000/XP and has limited Mac OSX Support. 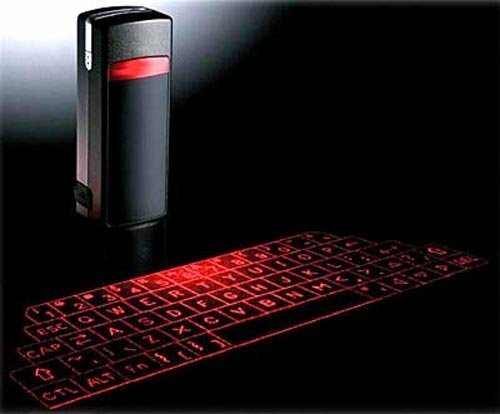 The Bluetooth Laser Virtual keyboard is available to buy online for $149.99 from ThinkGeek.